Many organizations struggle with business rules that are hidden inside applications and processes, making them difficult to find and change. Couple that with a complicated system to manage those rules, and change can seem impossible. 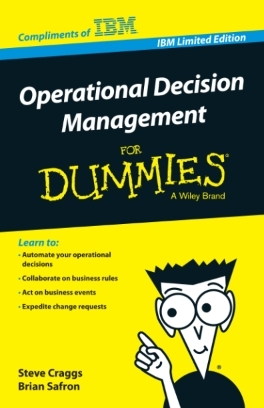 Fortunately, a new approach to business rules management -- operational decision management (ODM) -- can change that. Give change control to the users responsible for business policies, regulations, and practices by reading now.